An economist in the department of development and internationalization of the Securities Commission of Brazil in Rio de Janeiro. 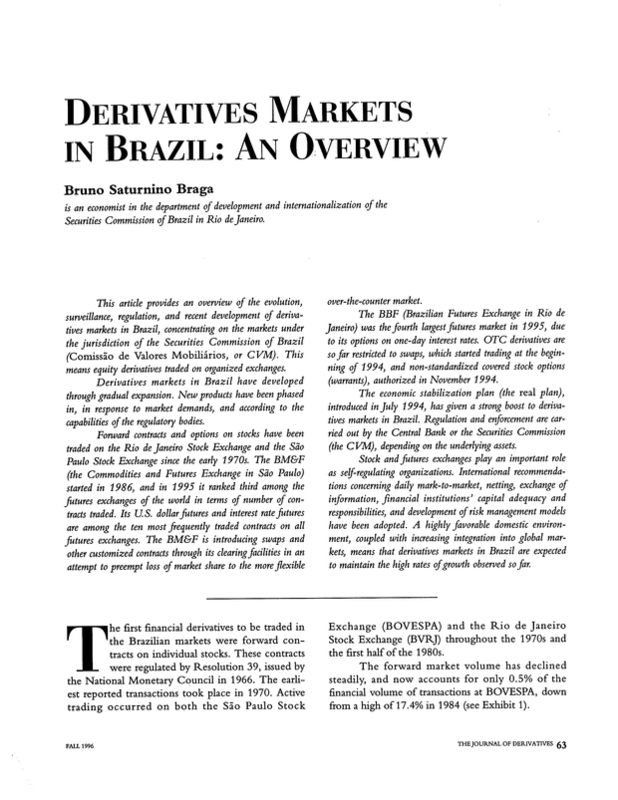 Thank you for your interest in spreading the word on The Journal of Derivatives. Message Body (Your Name) thought you would like to see the The Journal of Derivatives web site.